Todd Yunker is an Oregonian and lives Salem. 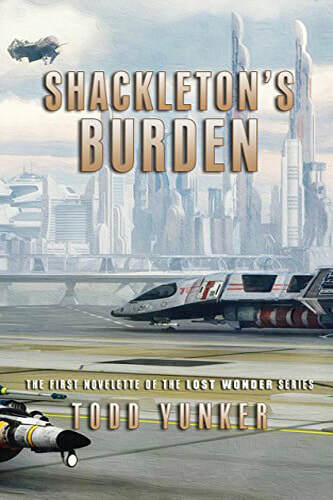 Todd is an award-winning author of the epic science fiction The Lost Wonder Series, book one Shackleton's Folly. 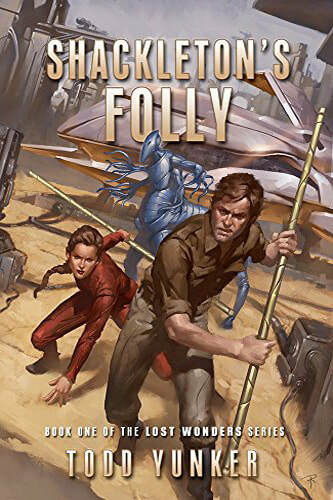 Growing up, Sci-Fi permeated Todd's youth and adolescence. He was an avid reader. He devoured all the books he could find in the library. Todd relished classic Sci-Fi feature films and Japanese monster movies. He indulged his fancy and watched swashbuckler movies of the '30s and '40s influenced his vision of adventure. The raw cynical attitudes and sexual motivations of Film noir influenced his grasp of story over fluff. 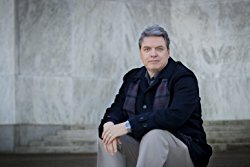 Todd's study of storytelling brought him to Joseph Campbell's The Hero with a Thousand Faces and Christopher Vogler's The Writers Journey: Mythic Structure for Writers. This profound understanding of storytelling has advanced the quality of his work. He would like to know the why don't we have our flying cars? Note: Todd Yunker passed away May 18, 2018.